Teotihuacan is well known the Avenue of the Dead and the Sun and the Moon pyramids. Chichen Itza is one of the most visited regions in Mexico. 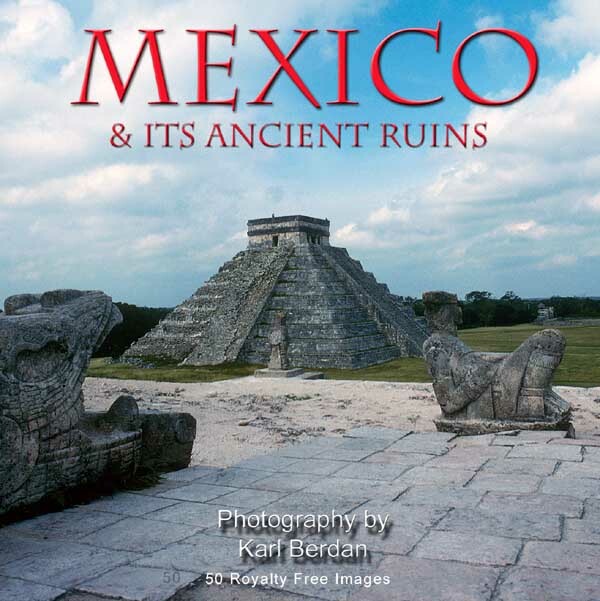 Old Chichen is primarily Mayan with Toltec and some parts contain Itza culture as well. Palenque is considered to be the most beautiful ruins in Mexico. 9 x 6 inches at 300 dpi. A special limited time offer for $99.00 + $5.00 shipping (USD). 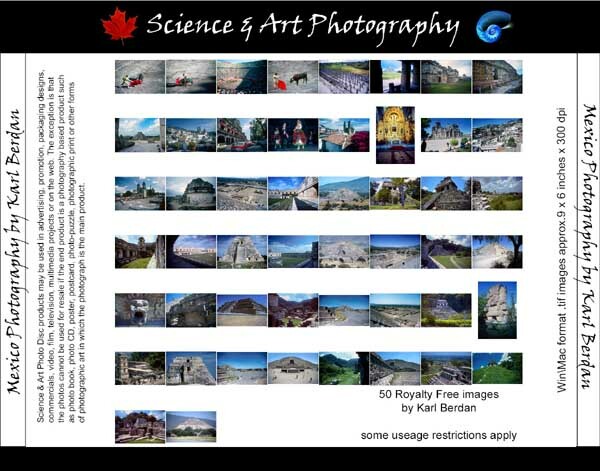 Photo CDs by Science & Art may be used Royalty Free in advertising, promotion, packaging designs, commercials, video, film, television, multimedia projects or on the web. In advertising or promotion, in any medium; as part of a packaging design; as design elements on products for resale, including books and games; in commercials, television, film or video. as photo book, photo CD, poster, postcard, photo-puzzle, photographic print or other forms of photographic art in which the photograph is the main product. The use of images for photo based products must be negotiated on an individual basis. or concerns about the use of any images please contact us for clarification. Each image on these CDs is 14 MB in size (approx. 9 x 6 inches x 300 dpi) - suitable for printing, multimedia and the web.